Published by WatchGuard Technologies: October 18, 2016 By Michelle Welch, www.secplicity.org. Brick and mortar companies that want to access the same level of customer insights as online shops need look no further than their own Wi-Fi networks. 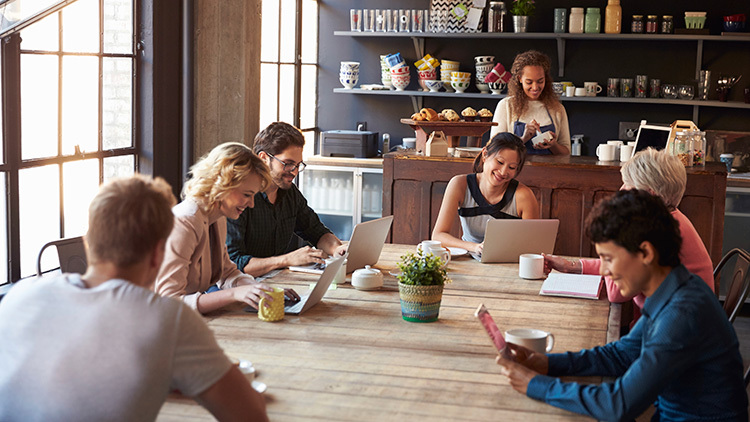 Advancements in Wi-Fi engagement and analytics tools can unlock goldmines of data on customer behavior, preferences and sentiment to support businesses’ marketing and sales programs. Online shopping for retailers, mobile ordering for dining franchises, and online booking and mobile check-in and out for hotels. These are just a few examples of ways brick and mortar businesses have lost a direct connection with their customers. Unlike online businesses, organizations with physical locations haven’t traditionally had access to data on traffic, conversions and other analytics to help optimize their marketing and sales programs. However, since the vast majority of the world now carries a Wi-Fi-enabled device at all times, brick and mortar business can access all kinds of invaluable information on shopper, guest and employee behavior. Customer Demographics: A customer stepping into your physical business is just like one visiting your website. Information about how they got there, where they go, how long they stay and what they take with them can be crucial for immediate and long-term marketing and business decision-making. Develop Wi-Fi sign-in pages that will provide the information you need to better cater to your target customer, or to support efforts to engage with a larger customer base. At the very minimum, ensure that your Wi-Fi sign-in secures basic demographic data like customer gender and age. Allowing authentication through popular social media channels will provide opportunities to access a wider range of useful information like hometown, schools attended, buying habits, and more. Customer Engagement: Once customers are signed in, businesses can use custom splash pages and captive portals to connect directly with them. For example, Wi-Fi can be used as a channel to deliver surveys and polls will collect valuable customer feedback that can help businesses adjust marketing and business tactics. Or, encourage increased purchasing with real-time marketing techniques like targeted 20% off promotions on seasonal items or coupons for specific products. Customer Footfall: Businesses can also gain insight into how long customers are spending in a store and where specifically they’re dwelling the longest. Having analytics on which displays attract the most traffic for the longest period of time, and how customers tend to flow through the floor plan, will enable strategic adjustments to the layout and marketing to be made within store locations. Post-Visit Marketing: Just because customers have left the physical location, it doesn’t mean the interaction with the store must end. Post-visit marketing is another effective channel for reaching customers once they’ve left a business. Using the information gathered through the Wi-Fi sign-in page, it’s possible to send targeted discounts and promotions to encourage them to visit again and continue to make purchases.